I have received a very exciting information today. Manifesta, the European Biennial of Contemporary Art. For more information, please check out the links and the attached documents. 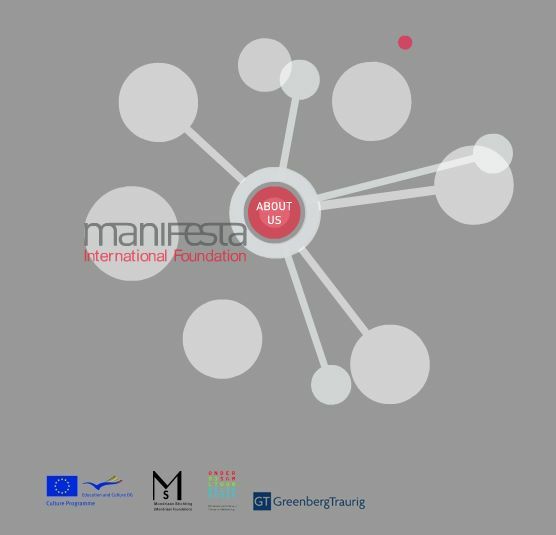 The Education Department of Manifesta, the European Biennial of Contemporary Art is looking for a number of Art Mediators to realize the educational programs of Manifesta 8. Manifesta 8 will take place in the Region of Murcia (Spain), in dialogue with northern Africa and will run from the 2nd of October 2010 until January 9th 2011. Exhibition venues will be located in Murcia and Cartagena. We would appreciate it if you would forward this email to any interested parties and/or circulate it in your network by any other means. The deadline for applications is 6 June 2010.